None Shall Escape : Johnny Clarke Interview - Part 2. 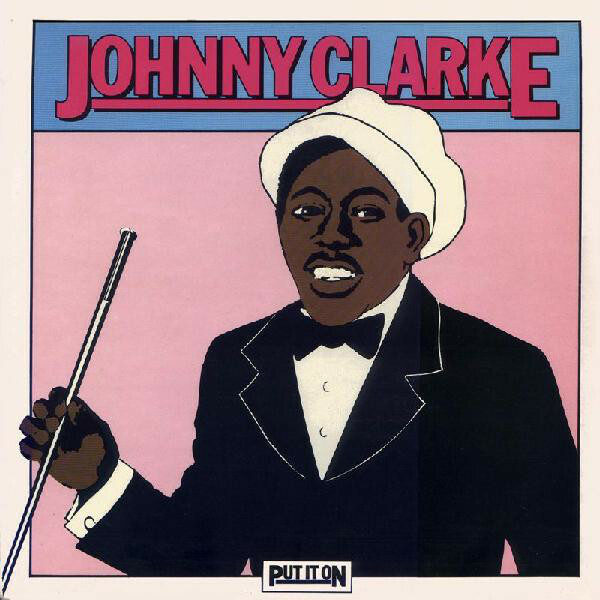 In part 2 of the interview, Johnny Clarke talks about the whole heap of cover material he did for Bunny Lee, the contract to Virgin Records, his albums for Brad Osbourne of Clocktower Records, leaving Jamaica, the values of making music, being a jazz fan and much more. You did a combination with Dillinger, ‘Commercial Locks’ (also one called ‘Babylon Yard’). One o’ them days deh was like when we run cover version, a combination. Ca’ is combination time when somet’ing – remember seh is a stable t’ing, man an’ man deh an’ so them time we waan somet’ing to be done, we jus’ call upon a one. Beca’ whether a man a work ya so every man used to deh-deh, beca’ from them enter – as me say from this studio is not open for the outside people, but like you is a man whe inna the stable. You’re not recordin’ at the time, you is not a man whe – like maybe the session is all me an’ three other artists a go do some tune. 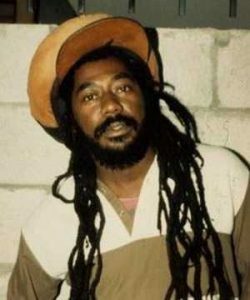 But all other artists, like Dillinger an’ all certain man, like Zukie an’ all them man deh, them man deh can come on deh still an’ hear wha’ gwaan. Ca’ they work too, an’ mebbe they put in all a punch whe – or maybe they might jus’ seh, bwoy, we go try like when all them deh ya, we go try like a combination. You know them way deh? But it never a plan, but through ‘im deh ‘pon there inna the area yunno, so we no mind when them man deh used to come aroun’ when we a do our t’ing, ca’ them man deh more fe put (inaudible) to it. Yeah, but is not fe the outside, not everybody come an’ jus’ pack up inna the place, y’know wha’ me a seh? Them no come in there yunno. Right, ‘Commercial Locks’ was an attack, it served as some criticism of Jacob Miller at the time, for being a folly boy, a follow-fashion type somehow, right? No, no, a that we no want to. Beca’ two a them a fuss an’ deal with wha’ them a talk ’bout, beca’ wha’ happen is that wha’ them man deh used to throw word an’ a gwaan fe them t’ing deh too, them over deh fe them camp yunno. So now, mebbe the producer a hear that now an’ jus’ come an’ seh, bwoy, me hear it so come mek you tell it wha’ gwaan. An’ seh now, bwoy, is like so them a gwaan an’ jus’ mek we do certain t’ing, an’ the man them seh sup’m. And so we say, yeah, mek we do somet’ing ‘pon them. Yeah man, but through them a lick t’ing them a gwaan like them a send certain lickle vibes an’ we jus’ a send back, like we a send back a t’ing at them. Beca’ them know wha’ them a do, them a do it fe we notice an’ all them a do is seh alright, hear where we are right now, we a know an’ we lick back. A lick back t’ing, y’know them way deh? You a lick back an’ a launch somet’ing, an’ we show them seh, bwoy, we na siddung an’ a tek it so yunno. So we show you seh we can do somet’ing ’bout it, so we do ’bout it an’ when we gwaan them hear we gwaan with it. Ca’ them gwaan with somet’ing too, a no only we yunno. You recall how Jacob reacted to that tune? Yeah man, them is the firs’ whe used to gwaan, man, a them firs’ whe do certain t’ing, the same ‘peace t’ing’ deh whe them a gwaan yunno. Right, he did ‘Peace Treaty Special’, and the One Love Peace Concert. From them time deh. And them a build the tune an’ seh certain t’ing an’ we took it up, an’ we come with our t’ing too. So it’s like a lick back t’ing. Yeah, and when man buck up, man jus’ pass certain lickle talk an’ seh certain t’ing, an’ we talk it over an’ man jus’ more use up their mouth more than throw blows, you understan’, it was not a fist t’ing. More a ‘friendly’ level to it, like internal joke. What about the cover material, you did a lot of that. Who chose most of it, it was basically Bunny? Some of them me choose an’ some of them mostly Bunny still, beca’ him always jus’ fe cover tune. Just fe he say tune, me ‘ave the vibes, ‘im believe inna me voice yunno. And still a man when ‘im hear a tune him jus’ feel like say, bwoy, if it’s all me do a tune deh, bwoy, then we could do so an’ so and jus’ come check we. And we do it fe ‘im, and him loved that. Beca’ him know how it sound a’ready, it’s like him know wha’ him expec’ a’ready, wha’ him a go get from me. So ‘im jus’ run come with it yunno, to learn it an’ study it. Looking back, do you think you cut too much of the cover type stuff for Bunny? I mean it’s a wealth of material out there now. Too much? Yeah, well, but at the same time that ‘appen now, highly respected ya right now still in this time ya now. Ca’ when a man know seh, whenever, we never deh a loaf inna them time deh, beca’ as a youth deh now we so active ya now. But the youth them now come up too an’ know really seh man did out deh a sing them tune. That’s why them respec’ me all now yunno. Yeah, beca’ them seh we never a loaf, as much as we did that different from a man whe did labour. Ca’ right now, if you notice now you cyaan do it ya right now, so give thanks me did that too from them time deh. Beca’ wha’ we a do from them time deh is like, as I told you, out there an’ highly respected now. An’ wha’ you a do now? Wha’ you a do now still is jus’ come like giving them this live an’ direc’ now still, an’ let them know seh, well, is all ’bout live an’ direc’ ya now. But we never did hang aroun’, whenever we did deh ’bout, we never did hang aroun’ or a sing ‘One-One Cocoa Full Basket’. Jus’ like a flood, we jus’ haffe sing them – fling dung nuff teasers yunno. Tune whe we handle, like shot a fire wide yunno. Yeah, so we jus’ a fling dung tune, tune jus’ a gwaan. Jus’ pick out a we mout’ yunno. But you did get some problems with the Marley clan for doing ‘No Woman No Cry’ at the time, didn’t you? If it’s a conflic’? Then it’s a inside conflic’, it’s a conflic’ whe a man keep inside. But them man deh never really come confront me. People always a seh they hear this and hear that, but mebbe the people them always a talk ’round the corner, an’ a talk an’ mebbe them did waan launch an attack, an’ it’s jus’ a talkin’. But they never try it, if you understan’ me? You know, them never try it, beca’ maybe them feel seh they never done fe fight. But them never even did try that, beca’ every man – me never really sing a man tune an’ go name it as my own, an’ that a the biggest trespass inna the music business. If you sing a man tune an’ go put your name too as if you own it, so you cyaan be like a man free fe sing… Is jus’ a man inna ‘im own self, maybe that’s why a man used to jus’ talk an’ no man a come try nutten. Ca’ man inna ‘im own self check ‘imself an’ know seh, bwoy, inna you ‘eart you know seh it no right. You na fe come ‘pon a man, man a sing tune an’ every man free fe sing a tune. Ca’ nuff people sing my tune, an’ me never say nutten to them. When you had this girl, a name which name a no call, this white girl, we jus’ see her outta the airport an’ she say right away: “Some of your tune them me a come upon fe sing over too”. Me never say nutten to her, me jus’ say ‘Yeah man, a so it go’. Yeah. So we cyaan stop a man from sing my tune. 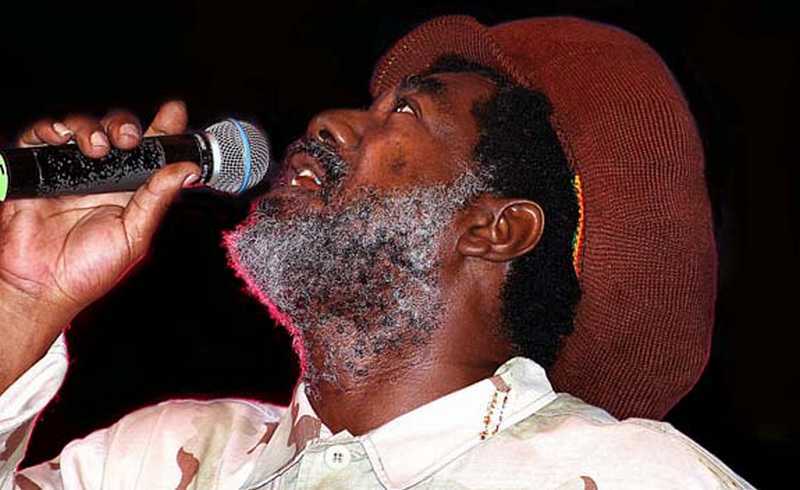 Jacob Miller sing my tune for the people, Dennis Brown used to sing my tune ‘pon stage upon Sunsplash, all him a sing ‘pon Sunsplash an’ do ‘None Shall Escape The Judgement’ an’ all them t’ing deh, me never worry. So if you sing a man tune an’ a man go deh, y’know, it no worry. Just like maybe you would worry, you shouldn’t worry. Maybe some people a seh t’ings an’ you hear wha’ them a seh, or maybe them a say them a talk ’bout the talking in my favour, an’ you no check ’bout that still, you see. What became of the contract to Virgin Records in ’76, did you get anything substantial out of that deal? Yeah, with all them tune, with them contrac’ deh still – with that contrac’ deh, we didn’t do them contrac’. But we jus’ do some albums whe them have right now, turn it out inna CD. Did they compensate you for that? Sort of the obligatory question here. Well, not really. We na really deal with nutten the way how them should be dealt with, so money is like peanuts yunno. So all them t’ing deh we nuh know. Ca’ right now, this time now we shoulda did mek certain t’ing so we can siddung an’ jus’ feel good. Certain money a man can give you whe as you look ’round an’ you spend out, as you see you make up your face, you ‘ave people can give you money whe fe years you a smile. You understan’ me? Yeah, an’ a man can give you somet’ing whe by this evening you give this man an’ by this evening you a look ’round again. Yeah, you haffe know wha’ you a do when you deal with them man deh fe keep up an’ show seh you’re a highly respected person. You never have me as a beggar, a man respec’ me an’ lickle more you see man ‘pon the street a beg. I guess a lawyer have to be involved to get something moving there. All that, that is being dealt with. The same thing happened to the ‘Put It On’ album, that was on another major label at the time, Polydor, but something blew it. I believe Junior Lincoln’s Vulcan had a finger in that. Yeah. Right now Polydor an’ them man deh now, I dunno, mebbe them outdated. Ca’ the only time when a man can get anywhere, ca’ sometime the only t’ing a man can do is get ‘im fe run yunno, jus’ a run an’ run outta town an’ go hide themselves. If you don’t go so you will no get to them, but if you stan’ up we go find you, we go catch you. So man a know, man get bummy an’ run an’ run an’ run an’ run outta slide. The albums you did for the late Brad Osbourne, the Clocktower label, I know you rate them a lot. Yeah, well, beca’ wha’ me haffe seh, certain people tek it up an’ get it upfront whe we really find out wha’ them really up to. Right now it seems as if them people, as me seh, certain people inna certain t’ing an’ when you find out them run an’ hide. Ca’ that is the same kinda vibe, they’re runnin’ and hidin’ yunno. As they say, ‘hide an’ seek’, y’know wha’ I mean? So, them deh ‘pon the ‘hide an’ seek’, y’know wha’ me a seh. Those albums are still out there, ‘Rock With Me Baby’, ‘Sings In Fine Style’, and arguably the best one, ‘Originally Mr Clarke’. Yeah, but as me say them man deh, them man deh ‘im hide behind the corner. There is one guy up in Canada who puts them out up to this day, Abraham. Yeah, as me say ‘im deh-deh, them do wha’ them a do. But one time we fe reach them, the more them a do the more we haffe catch up on them. So sometime me a go reach deh too an’ them haffe mek a run fe it yunno. You went to England in the early eighties, like 1981/82, and sort of lived in ‘exile’. How did the political violence in Jamaica affect you at that time? No, man. 1982/83 Jamaica was nice, man. Ca’ wha’ me a say, there was a change an’ t’ings did kinda come back ‘pon a level. So inna the eighties it nice up back again, so we never ‘ave no need fe going. In them time deh when we a come, people a come down back. You no ‘memba? Yes, but you went there for a while anyhow. No, I wasn’t coming from England. Yeah, well, we went to England but it wasn’t for any ‘politics’ t’ing, it was before that when Jamaica did get kinda rough. Right, the 1980 elections, pure bloodshed. Before that, the time before the election them a went, the streets them a block up an’ a whole heap a war an’ crime an’ whole heap a other t’ings. Music business did get crash an’ mash up all inna dance still, a so you’d find seh the new era a the business come change. Ca’ them did crash dung one side a the business, an’ then now when t’ings lively up back now, the music mek a different trend with the changes. Ca’ the change did create other changes, you understan’, ca’ there was changes in the eighties, a no so? Sure, it turned the music into something else, totally. So right deh so it a whole different change arrived, so the music an’ everyt’ing run in a sequence yunno, everyt’ing a run ‘pon the same level. Yeah, beca’ even the music business, everyt’ing did crash, it all kinda crash dung, right dung inna the last part a certain time. Entertainers became targets for what they had ‘stood up for’ some time before that? 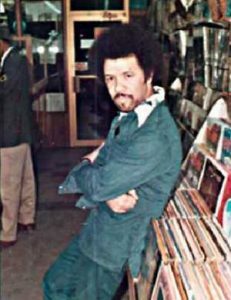 Well, yeah, an’ the whole music business, if you’d notice the new trend, the trend whe the music tek, when the music – ‘memba seh before that yunno, there was a different type a reggae music. There wasn’t even this ‘dancehall style’ we make, so when t’ing start get back ‘pon the level, it turns again. An’ the music different, people start come inna the music an’ music tek a next turn. So it a different style start create. That was partly why you went, as far as the music itself was concerned, not being comfortable as the circumstances were? No, wha’ happen is that we did get out even before that, if you understan’, when the change created everybody come, whe people start coming back when that music start now. When we a come back, we a come in, people coming forward now. Man a realise seh this style a music did kinda change, it did tek a different turn. So it’s not a man, say, people was leavin’ in them time, people was comin’ back that time. If you notice the music was gone really, as we a say, real bad! An’ the music was being crashed, or you a seh everyt’ing did get crash, the music too an’ everyt’ing. So it’s not jus’ you alone did go, everyt’ing did get crash. Beca’ no dance neva a gwaan too tough, y’know, neva a gwaan you understan’. It was jus’ like a war vibes, like a maybe you would a seh, like, mebbe no really like Iraq, maybe jus’ like them country whe under war. It was just them kinda business a gwaan, you understan’. Blood, too much of it. Yeah! So everyt’ing did kinda get ‘pon a halt, or put ‘pon a pause for the time being. You understan’ when somet’ing is put on pause, an’ then when you done an’ you come offa the pause, you start again, you continue. Yes, so it’s on the continuation now, music change did create. Ca’ if you notice there was a change, change a politicians them an’ change in music. So, a so it go. And then now, the people who feel like seh better was created, or better had come, it’s when people start coming back. Beca’ them did feel like say everyt’ing did deh right back ‘pon level a turn again, an’ t’ings start pick up back once more. Yeah. So people could not leave when t’ings did start pick up back, people did leave when t’ings did a crash. So most of them time was leavin’ time. Yeah, so don’t get it the wrong way. 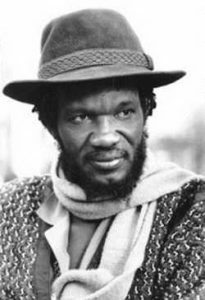 One thing when it comes to your name, your position within the music, is that you were on a par or almost equally successful at the same time as Dennis Brown and Gregory (Isaacs) produced their best work during the mid seventies. But since that time, for some reason you are not as known internationally as those two. How come? What would you see as the main reason, considering your success at that time and being established firmly in the music since those days? I suppose bad advising, bad management, lack of determination, lack of successful recordings played their part, but what would your analysis be? No, well, from them time deh is jus’ the people them who you’d find who choose fe come work with you, ’cause I was there an’ I was like known. An’ if you notice all a whe me tell you ’bout, it was a time before that time. It was a time when me work hard in a the studio an’ don’t work with more than one stable, really. So them, fe whatever reason, them choose fe work with these people deh, an’ never choose fe work with I. ‘Cause I was already established, you understan’. So it was that them people deh did get kinda more people a back up or ‘fed’ as you woulda call it, it was like more breast-fed, y’know. Ca’ thru it was like inna the grasp of certain people palm, certain people who come inna the business a ‘ave some few dollars, ‘ave some dollars to spend, financially them figure them shoulda did focus on them people deh more than I and I. So I couldn’t tell a man where to spend his money. Do you think the main reason behind this is that you spent too much time in Bunny’s stable, that you should’ve been more flexible and moved around more? No, the main reason for that was that the man ‘imself would spend the money ‘pon them other man deh, know who ‘im waan spend him money ‘pon. So it no matter whe you did do, is jus’ the intention or wha’ the man did feel fe we. If we ‘ave the money an’ come in the business an’ a circulate an’ a spend it, me haffe know seh we a go fe the ‘cream of the crop’. An’ me haffe know seh me was the cream of the crop, ca’ me was the man of the time. An’ yet still the man a go deal with other people, you understan’. So it’s not about whe if me stay so maybe the man deh a carry a feelings, maybe that person then maybe ‘ave somet’ing against that other person then if I ‘ave the name. Ca’ if you stay too long with that man, maybe it’s because the man who decide fe come circulate fe ‘im t’ings, nuff people – an’ them a pick an’ choose who is who, who ‘im should work with or who ‘im should not work with. Mebbe ‘im choose not to work with that person, because I was along with that person an’ choose not to work with I, because I stayed with that person for too long, ’cause him ‘ave somet’ing against that person. So it’s jus’ about who the man waan fe deal with. Maybe it’s not about how great you are, it’s jus’ about who the man want to spend with. That I was still there, that couldn’t really demolish I or stop I, ’cause I done go through the gate a’ready and established. So it’s just that we never have no additional funds from that angle, but there was other angles and there was other people. ‘Cause if you notice I was like with Virgin, ca’ them time deh whe you ‘ave the major company was Virgin and Island. Some people was with Island, some people was with Virgin, you understan’, an’ I was with Virgin. What would you say is the joy of making music up to this day, more than thirty years after you got that breakthrough with ‘None Shall Escape’? You get the same vibe of creating? Yeah man, the vibe is there, even more now. Because nobody na do it an’ the people them still need I an’ they need I and I vibes, so I and I haffe deal with it even more now than it ever was. ‘Cause the people them – nobody na build how I and I stay, you see, so is like we haffe deh ya same way. We a gwaan feed the people them, ca’ them need to be fed an’ they need the feeding. ‘Cause the music, I and I music, is like medicine to them. And the space na full up fe really give them medicine, an’ them waan them medicine. So now more than ever, we haffe gi’ them the medicine an’ them feedin’, musical feedin’. How come you slowed down on recording since the eighties, because there has been recordings few and far between each other over the past twenty years or so. No, because what happen is that the people them still request them stuff deh whe we do from them time deh. Ca’ mebbe the reason why is because the CD… you understan’? The CD is like a blessing, ca’ remember seh some a them tune deh is like them bring them back ‘pon a revival vibes. All a them old tune deh whe deh ‘pon record a’ready, the CD now wake them up back again, the Compact Disc. Do you keep track of what is being put out on CD of your past work? Yeah man, ca’ they are all there for us to see. The company whe put them out, them na hide it, a that we know. And is mostly the old tune them an’ the people them still want them, that’s why on any show we do now, anywhere a part of the world now a them same tune is like them brand I jus’ make yesterday. So the old tunes now, or all new tune now, welcome yes, but is not a must. Ca’ we deh ya a gwaan there now an’ is so much show I do now an’ all them t’ing deh, an’ a them tune deh now, same tune them. So we a eat up an’ a re-eat, so we a go eat our food offa the same tune. Ca’ we a nyam food offa them tune right deh now, ca’ we a eat that again. So we a eat to the fullness without any new music, so we no haffe… we ‘ave new stuff, yes, beca’ our latest album is a current, a current whe we did do the album fe a company named Peter Pan. 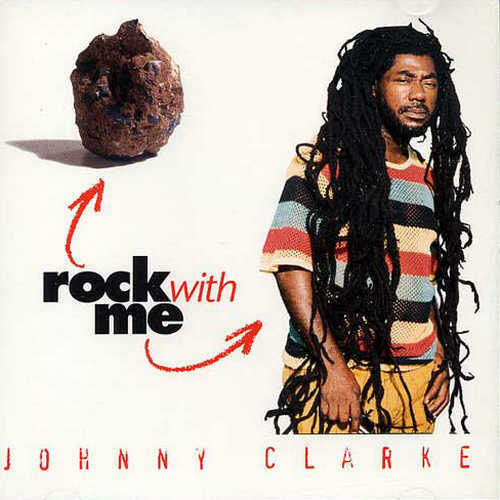 With Niney (‘Rock With Me’, 1997). Niney The Observer, yea. But at the same time, that was jus’ to show seh we still active an’ we can still deh ’bout. But a the tune them whe the old tune them, man a jump up over our old t’ing a’ waan it same way. As me seh; soon nobody na full up, the fullness stays. So it keep we now alive same way, so the vibes a gwaan now, people is right in there. You don’t feel it’s necessary to record new material, anymore. You coulda answer that too still, as well as when we get the time an’ the chance, we do it, yeah. But if a man no feel like him waan come mek we record nutten new, ’cause most a the man them that carry we an’ put ‘pon riddim an’ t’ing, but we no mind. Because whether we go ‘pon riddim or go ‘pon nutten new, we still deh active an’ still people waan we same way, ca’ we a get nuff work an’ do t’ings. An’ is highly respected fe them tune deh, ca’ as I say thru nobody no deh-deh with the space na full, we haffe deh-deh. We haffe still deh fe kinda keep the people them check we same way an’ keep the vibes flowin’, you see wha’ me a seh. So we no need fe keep the vibes flowin’ is not off a new tune, is offa the same tune them. Beca’ them young youth deh now waan come know ’bout them ya tune deh now. So them tune ya now did a come like new tune to them young youth ya. So even the new tune we a go mek ya now offa the old people them, an’ for them youth ya, ca’ them youth ya deh now a come like the old tune a come like new tune to them. Ca’ them a jus’ a hear them too, them find out seh a them a the tune them, a them a the tunes them. How much airplay do you get in Jamaica now, they still spin your vintage stuff? Me no really check that yunno, me no listen, ca’ me mostly a listen talk-show fe listen wha’ gwaan, how the country a run an’ all them t’ing deh. Me listen the radio an’ listen wha’ gwaan, ca’ me no listen to the radio station whe play the music right now. Me listen whe the man them a talk ’bout, the country a run an’ listen to the people them, wha’ gwaan inna the surrounding. Ca’ sometime it’s good fe know what is ‘appening, you know if you open your door an’ where you going (to) go from where. Ca’ when a man a lef’ me, alright, him mus’ know where to go from where not to go. An’ sometime the bes’ indication is listen the talk-show man them, them a go tell you wha’ gwaan. The way Jamaica a res’ ya right now, you know you cyaan listen the music ya right now ‘pon the radio. Which, in my own time whe them play my music an’ them a play, me no mind – when me say ‘mind’, that mean them a play my own set. But me cyaan (do that), me haffe keep in check ya now – as far as the radio station – what is being said on the air. What do you miss the most about the values of making music back in the days now? What is missing today? What’s missin’? The exclusion of a lotta instrument. 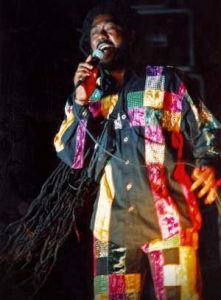 Yeah, y’know some a the sweet melodical sound an’ how tunes used to flow with the lyrics an’ all them t’ing deh now, it’s like a man jus’ a drop dung a rough t’ing, the man jus’ a come sing. An’ sometime them put all a singer whe mebbe the singer is not even fe ‘im key, but him haffe fit in same way. So maybe you have all these tune flat, they stay with mebbe too low an’ it na go change. Beca’ them ‘ave fe go ‘pon da riddim deh, you understan’, or maybe him waan all a higher pitch. Beca’, sometime whe we did love too is to present our voice on the riddim the best way, through we know seh that it gonna be on a record forever, for long or forever, so we get the bes’ pitch. So if you sing the bes’ way in G, an’ then when you feel like you sing it to them G an’ it sound good, an’ you try A an’ you find seh A is a better pitch, and then you go above the A you’d find seh you gaan ova the board, you stay a A – the bes’ pitch for a record, so a man a get to the best way. But if a man a go do somet’ing an’ it too flat, or it too low, an’ then again whe ‘im put that ‘pon record, but still ‘im coulda do it better. Bwoy, why you neva a jus’ do it better an’ put it ‘pon the record. You ‘ave man put out somet’ing ‘pon record whe a go stay deh, an’ then them artists a seh, bwoy, you know you coulda do it better yunno. A record that, man. When you do that ‘pon live show, when you say you coulda do it better, but when you a do it ‘pon the record, do it the best way! That’s why man tek more than one cut, ca’ a man tek a cut an’ him go back… or sometime him come back all a next day an’ him do it over, or him say mek that stay ‘pon that track deh but I’m going try yunno, ca’ I feel better today. Ca’ the bes’ him a look for out of himself, the bes’ voice. Beca’ you know seh each time you can tek an’ you tek an’ you can siddung an’ see that you know you can sing that song better. You understan’ wha’ me a seh? The standard is not there anymore? Beca’ the force deh, like the riddim t’ing… I mean, no mind if you a do it fe like how Tubbys used to do it now fe the dancehall t’ing, sometime Tubbys used to have we sing ‘pon a riddim whe mebbe the key no all that – but you can still fit in yunno, a sound t’ing that, y’know wha’ me a seh? But if you a do it now fe record a go out there, a man mebbe sometime the key whe the man a do an’ you know no professional artis’ a sing it, me know say that right now if him sing that tune deh, when me hear the tune an’ a hear him sing it, me know seh ‘im can sing it better. Me na aks it, but to how me listen the tune an’ mebbe me jus’ see ‘im do the tune an’ me hear the tune, an’ me listen the tune an’ me know seh that tune deh coulda sing better. Maybe if him step up the key, you understan’ me, sing it inna higher – sing it out more than me a come from more dung deh a belly-bottom, more than jus’ a whisperin’ t’ing. Sing out yunno, sing up, y’know them way deh? Like, in a studio an’ a producer direc’ you an’ him a seh ‘sing up, man, mek ya feel you round deh, man, give me the fullness!’ Some producer a record some tune deh an’ the artis’ round deh an’ him a sing an’ him a indicate fe the artis’ whe him waan him do round deh an’ all them t’ing deh, an’ when him done with the artis’ the artist do it the right way now. So sometime some producer a help, while some now jus’ put you ‘pon a riddim an’ you flat, an’ him jus’ love it. And right now the tune coulda jus’ – is jus’ a riddim t’ing, is a t’ing fe mek a man find a man pitch, the right pitch an’ the best. That’s why inna them days deh him choose the best, because the musician used to go to the piano an’ them find a key fe you, a man mek you sing it inna the bes’ key. So when a man hear you voice, man, it crisp an’ clear, man. Ca’ your pitch, you get the pitch, man. You know them sound a America, them go so… certain a that music sound, man, the people them pitch good yunno, ca’ pitch important. You feel that the youngsters nowadays don’t want to work on their vocals that much, that there’s a lack of discipline somewhat. The pitch! Ca’ them coulda sing the tune a sound more mellow an’ nicer, but them jus’ a go through the motion an’ you feel seh them not even know ’bout the pitch. And I say it’s not about – if you a go do it ‘pon record, don’t jus’ do it every now an’ then when the artis’ know seh ‘im coulda do it better, jus’ do it with the heart ‘pon the record, man, the best way. An’ leave it alone when you know seh that done whe ‘im a go press that now an’ mek it go release now fe your fans them now, you no busy with a touch that again. Yeah man, you ‘ave some producer when you done voice the tune an’ tell you say come outta the studio, na go back in deh. Ca’ him na waan you go (inaudible) that, beca’ him a go know seh him get it solid that him no waan you no even snease ‘pon that again. Beca’ you sing it so great that it done, done, done, done with, an’ jus’ release we a talk ’bout now. Ca’ him hear it an’ hear say, bwoy, you do that proper! No come back no tomorrow night or no next week, now we done. You know? So, a so it go. While sometime you a do all a tune an’ a man seh, like, maybe you a do tune too late inna the night, or a man say, “Bwoy, you sound like you waan sleep anyway, mek it cool off, low it, go home, tomorrow or next day we book some more time, come back an’ do that tune deh again”. An’ then when you shake up yourself an’ come back all a next day now, you see we a get the tune now the RIGHT way! So, a so t’ings go. Sometime every tune you jus’ run an’ forth to get it over with, you haffe listen the tune an’ if you feel say the tune, like, can do back the tune again, man, an’ don’t run go reason this tune ya yet, you understan’ me? Before the people them hear it the right key back, an’ still keep wha’ you ‘ave just in case. But let me hear back somet’ing, jus’ fe hear a different style an’ you a match the two a them, whether it be the first one or the last one ya. You understan’? As well as you can add more lyrics, and you seh, bwoy, that tune deh did empty yunno, add a next verse. You know them way deh? A so them produce, a so we used to work, man. If you put on a record at home, what do you prefer to listen to? Me is a man now whe it depends on the mood, ca’ whenever time you jus’ waan – let me tell you somet’ing wha’ me really love to hear, me bredda: melody. I tell you brethren, you see jazz? The whole a the music them, R&B, whole a them ‘ave the melody inna them. Me na really listen to reggae, ca’ sometime me listen all some nice instrumental too, and some Jackie Mittoo an’ some wicked organ a bawl out yunno! You understan’ me, some instrumental or some man a blow, ca’ a melody, man. Sometime me jus’ waan fe – ’cause when me seh music a made like this, is not fe jus’ the people who me a gi’ it to alone, is all fe we too. ‘Cause is like a curing t’ing, sometime me jus’ waan fe hear some nice music, fe keep me nice. Through that now me a do all a run on a cassette or a CD, me jus’ try fe put the best when me inna me car an’ drive, as one tune then is a next wicked t’ing a come, as one then is a next somet’ing when tape a turn. You know? Different from a time now when you can listen to any lickle t’ing, whenever time when you waan keep up the bass, whenever time when you waan keep up the riff yunno. A pure art stuff a come back, one after the other. You see me? An’ not jus’ reggae alone, is that you come you hear all some BAD jazz, instrumental! Blowin’, guitar, ca’ you have all some guitar style. Jazz, sometime you ‘ave some horn a blow an’ all them t’ing deh, an’ some… seen? An’ in a reggae too, you no see it, with the instrumental. Sounds like you’re a real jazz fan then? Yeah man, beca’ ‘memba me a talk ’bout melody, ca’ me a talk ’bout the melody. Jazz ‘ave some kinda chord changes, nice change a chords. It mek you jus’ nice an’ relax, you jus’ come inna your home an’ feel nice an’ refreshed, you feel light an’ fresh an’ you siddung now an’ you na ‘ave nutten fe do an’ jus’ want hear some nice music, some nice flowin’ music, you see. Me no mean not jus’ the ordinary, me talk music towards now he every man know wha’ them a look for still. Seen. What is the future for reggae music now, as you see it? The future? The future for reggae music ya now still is fe live show. Yeah, man haffe jus’ gwaan deal with it out deh an’ fe expand an’ give thanks that we still on ya an’ can get it to the people them live an’ direct, and fe expand it. Increase the population, you no see it, an’ show you seh we no drop off a shape. Ca’ when them t’ings fe drop off, man like we still deh ya fe keep it up. Ca’ mebbe if it not for we, mebbe it woulda gone a’ready, gone an’ feget ’bout. So the future is all about keep it there, ain’t no stoppin’ reggae music. You know wha’ me a talk ’bout, continuation – Itinually. Seen. It is truly extraordinary how this man has maintained such a high standard over a long period of years, more than thirty years in the business, and he still sounds as youthful and vibrant as ever. 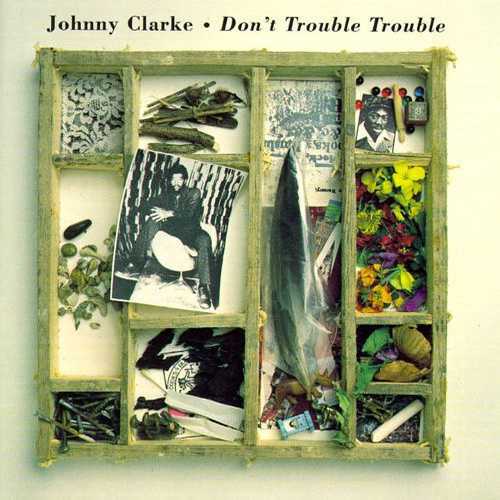 Johnny Clarke in concert rarely disappoints as well as cutting some fine new records even today. The past ten years has seen him being more in demand on the concert/festival circuit as the interest for vintage music has grown tremendously, and most of his recorded output has stood the test of time exceptionally well and still sells. Historian Steve Barrow has, perhaps, been responsible more than anyone else these past seventeen years for presenting Clarke at his prime with sublime compilations such as the ‘Dreader Dread’ (Blood & Fire) and ‘Don’t Trouble Trouble’ (Trojan). Other decent compilations includes ‘A Ruffer Version’ (Trojan) and Clarke in King Tubby dubwise fashion, ‘Johnny In the Echo Chamber’ (Trojan). 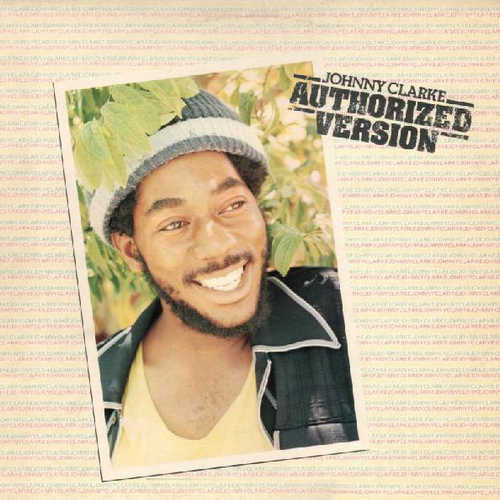 When Johnny entered the scene in the mid seventies, he came with something new, crisp and fresh to the dancehall crowd. A youtful sound, straight to the youngters’ head but with a traditional approach to maintain the long time crowd as well by cutting updated versions of ‘standard’ songs in Jamaican music. It was Bunny Lee’s concept and Clarke truly benefitted from it, even though in hindsight Lee took it a bit too far. Alton Ellis made a famous joke about this fact. 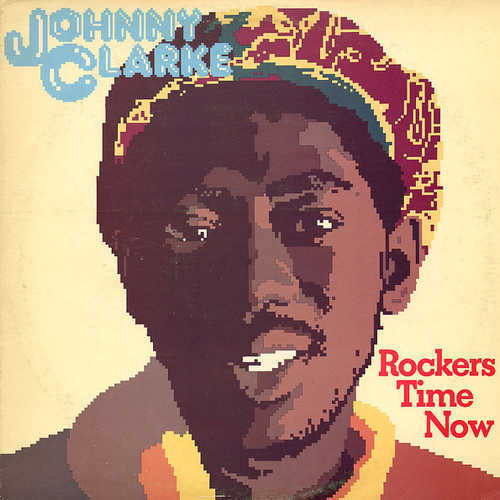 Clarke left the island at the political turmoil in the early eighties to live and record in England, he cut some fine albums for the Mad Professor. After returning to his home country he has, over the past twenty years, cut some decent, if unexceptional, albums for producers King Jammys, Prince Jazzbo, Niney and recently for Jah Shaka. 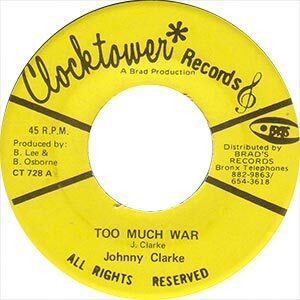 Clarke occasionally gets a 45 issued, of those released in the past couple of years I appreciate the flirt with his childhood rock’n’roll in ‘Twistin” (Ethnic Fight) for long-time UK based producer Larry Lawrence; his take on class differences and social injustice in ‘Never Get Away’ (Natami); guesting the Joe Gibbs stable once again expressing depression and apathy in ‘I Don’t Feel Like Talking’ (Rocky Gibbs). All of them superb Jamaican music. Bunny Lee also issued some unreleased mid seventies cuts on 45s such as ‘A Man Like Me’ with Clarke clearly improvising the lyrics on the spot. Why on earth they didn’t return to finish this song properly remains a mystery hearing the potential even in this raw approach to the song. The former dubplate ‘Can’t Stop Me’ (Thompson Sound) issued by his childhood friend Linval Thompson made quite a stir when it came out a couple of years back. 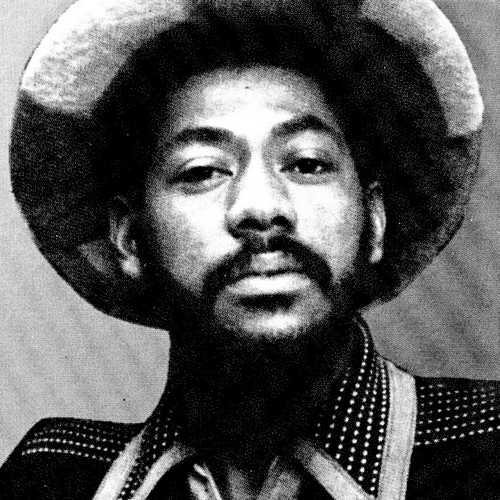 Jacob Miller also had a great cut, ‘False Rasta’, on this version of the ‘Ain’t No Sunshine’ rhythm. Lee also revealed an early flying-cymbal cut of ‘Every Knee Shall Bow’ featuring a slight mistake in the vocal department but a very interesting document of the early inception of this famous song, easily available on the seminal ‘Originally Mr Clarke’ (Clocktower) album from 1978 (and pirated in Canada). It remains to be seen what Johnny will offer in terms of new recordings. I’m pretty sure that he will not disappoint in that department, considering the high quality of his recent material. It’s easy to get the impression of a perfectionist and, as most of us know by now, he is a natural talent who seldom lets us down. But there is more vintage stuff to collect though, I’m sure he will be the subject of many more compilations to come. Check out oddities like the legendary ‘Golden Snake’ on compilations such as ‘A Hudson Affair’ (Trojan), JC in a rock steady style! Or his Glen Brown recording of ‘You Really Got A Hold On Me (Jump Back)’ on ‘Boat To Progress’ (Greensleeves). 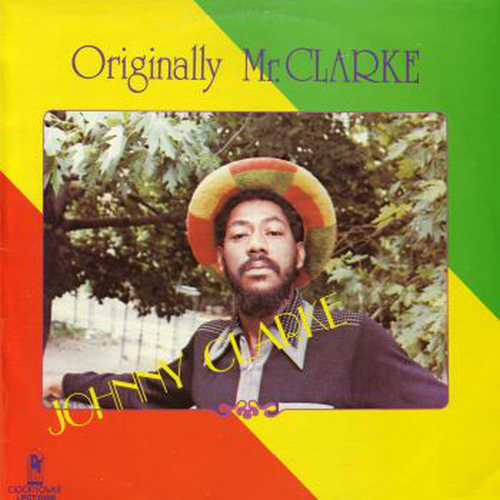 Nuff respect to man like Johnny Clarke, yu a di Don in di area still.